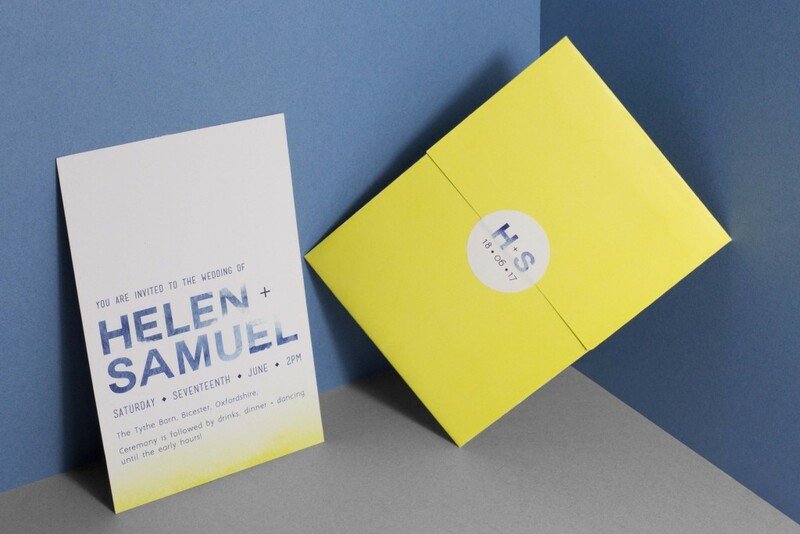 This modern, dip dye inspired invitation comes inside a bright yellow, folded envelope which then turns into a reversible, reusable envelope! 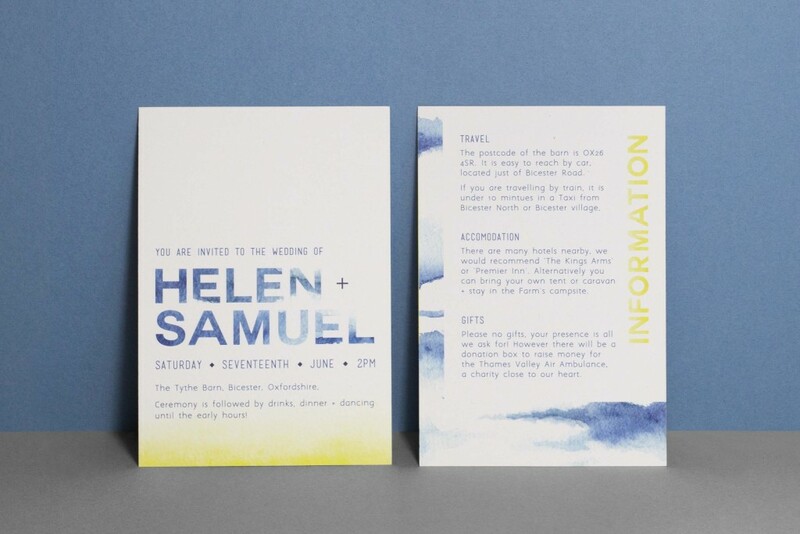 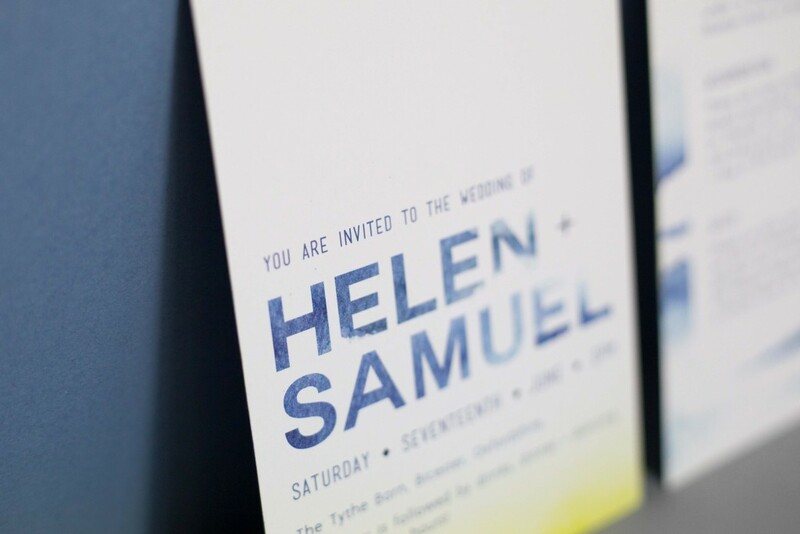 It’s impossible to miss this wedding invitation in a pile of post that’s for sure! 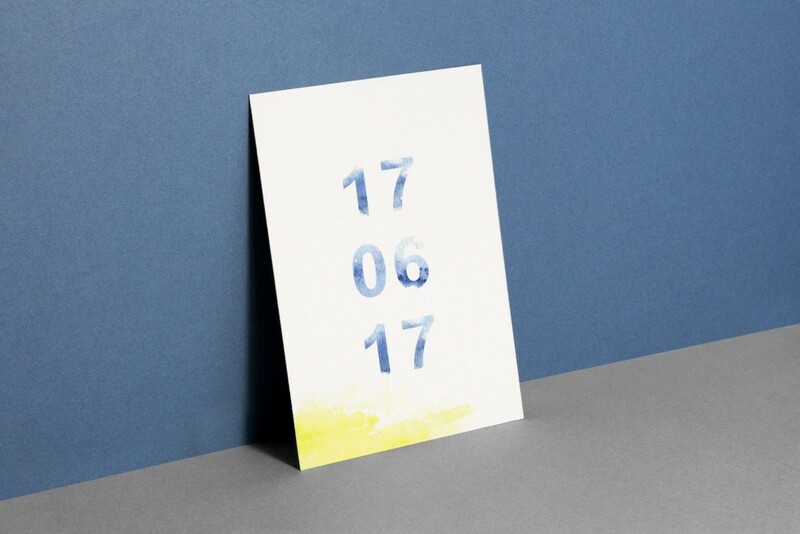 Once unwrapped, the inside of this envelope then displays all of the RSVP details for the wedding day such as dietary requirements and menu choices. 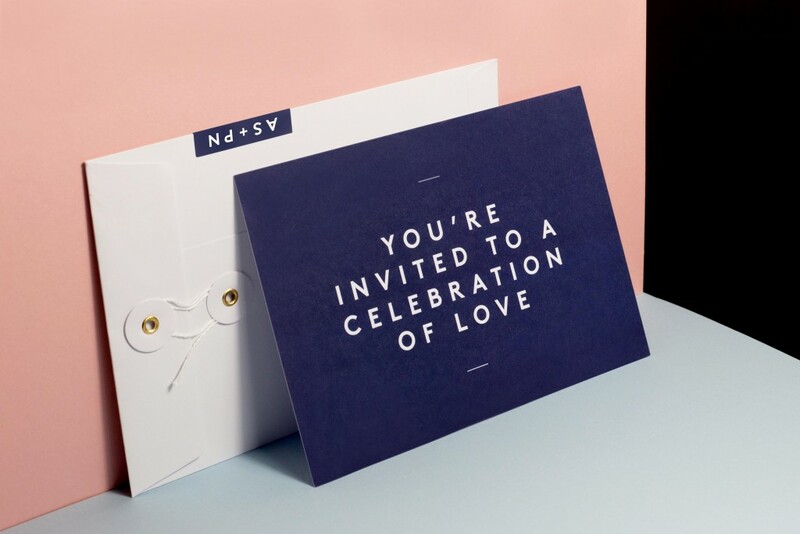 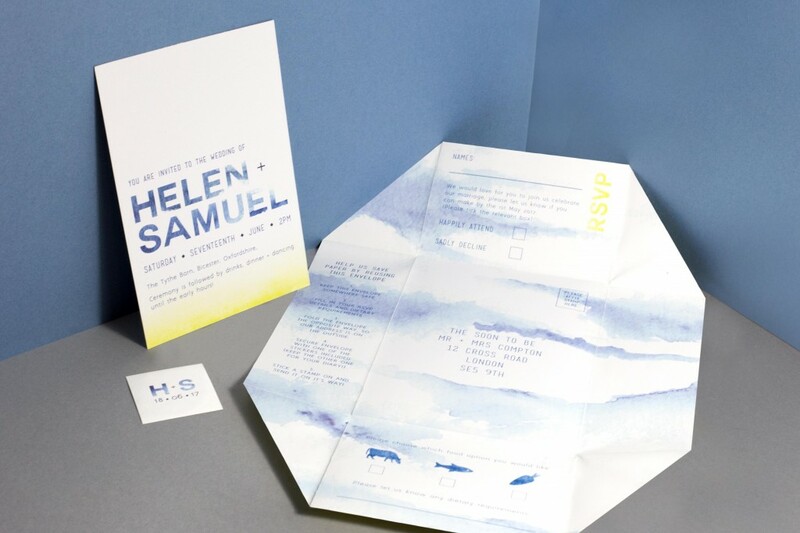 Your guests are asked to fill in the details requested, fold the envelope back the other way, seal with the sticker (that also comes in the set) and post it back as their RSVP! 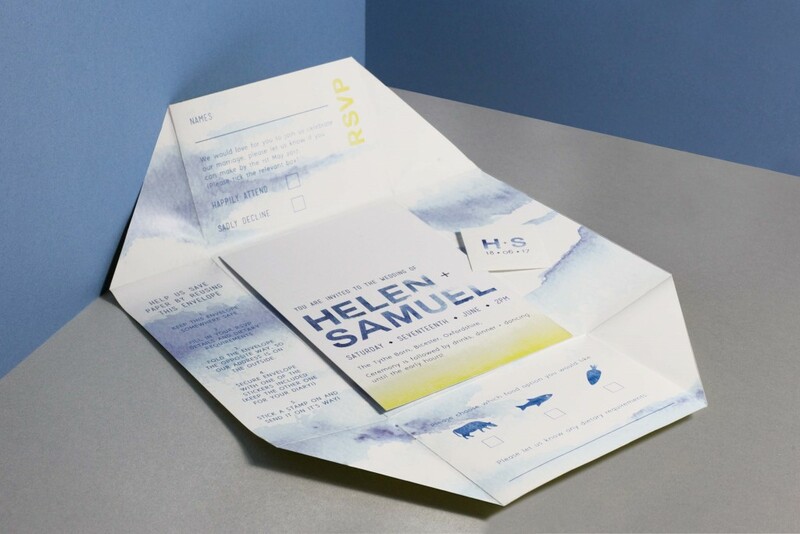 This not only saves the need for second envelope but also the need for an additional RSVP card! 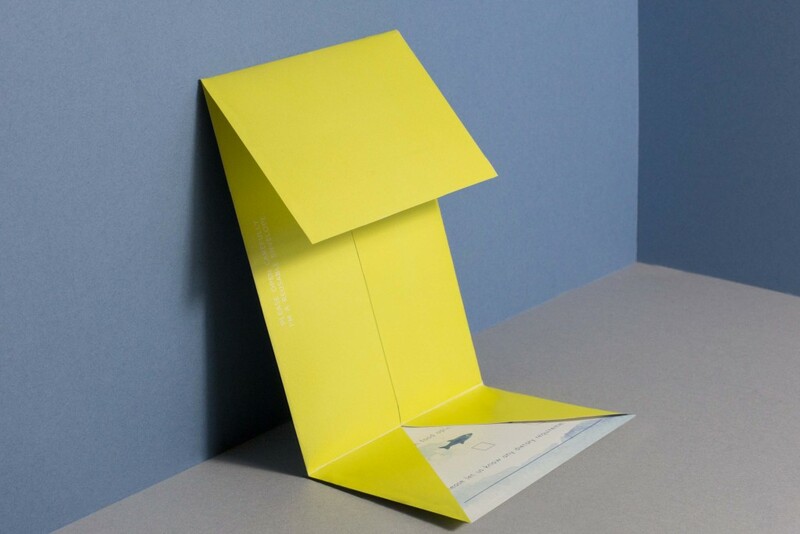 Winning on the eco-friendly front!